Pill Popping | Go Figure Girl! I don’t know about you, but I like to make the lesser important things in my life happen quickly. To me, efficiency is much better than not when it comes to things like: laundry, grocery shopping, commuting and meal preparation. You should see my kitchen on Sunday nights – it’s an assembly line. I would spend all day making and decorating cookies because to me, that’s fun, but I do not want to spend all day cooking 12 pounds of chicken. 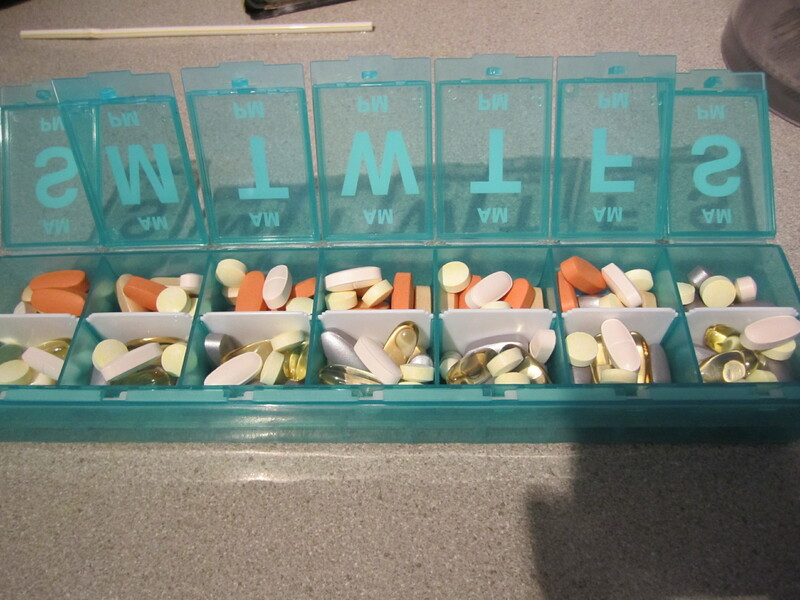 So when it comes to taking supplements, which is a “must-do but not so enjoyable” thing, I want this to be quick, too. My boyfriend prefers to take every bottle down from the cabinet each morning and evening, pour out the prescribed dosage and throw each pill back in his own time. I, on the other hand, use this handy weekly pill separator and fill it every Sunday night (as my chicken is cooking) with everything I’m going to take for the week. In the AM, I take the pills in the bottom half of the container and then in the afternoon I take the final amount (I bring that to work in a zip lock bag). When it’s time to take the pills, I throw all of them in my mouth at once and down they go (with water, of course). It’s a mouthful, but it saves a lot of time. 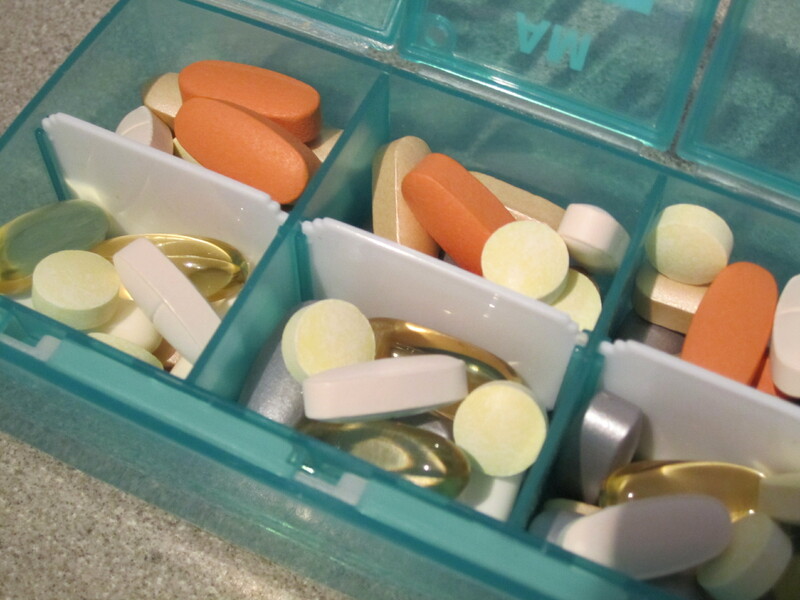 How do you manage your pills? This entry was posted on June 30, 2012 by belcbody. It was filed under Uncategorized and was tagged with figure, figure competition prep, pills, supplements. Ahha – a way to be even more efficient! If only I could fit two weeks into one. Thanks for the tip!